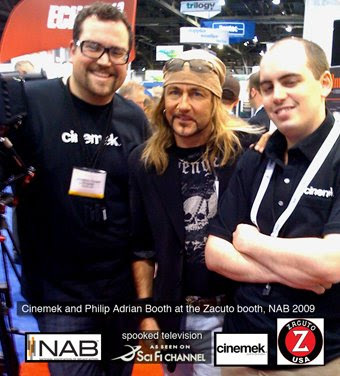 BREAKING NEWS: APRIL 30, 2009 Nab 2009, Zacuto & Cinemek join forces with Spooked TV. 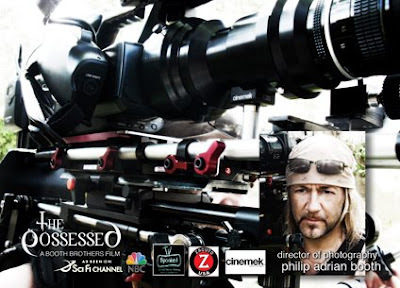 Steve Weiss of Zacuto USA met with and was very impressed with filmmakers, twin brothers Philip Adrian Booth & Christopher Saint Booth and the stellar work they are doing. "These guys are really shooters. They do television but with the look of a Francis Ford Coppola picture. 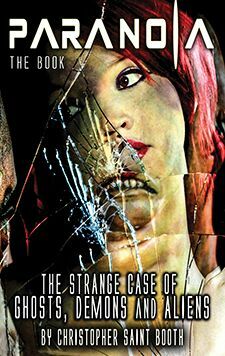 It's called "Spooked TV" and it's on the Sci Fi channel, you've got to see it. 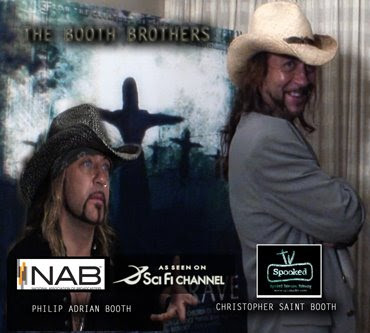 The Booth Brothers also are CEOs of Sci-Fi's - SPOOKED TELEVISION. Spooked TV joined a promotional alliance with Jonathan Hauser's CINEMEK G35 adapter company and Steve Weiss's ZACUTO USA on putting together an EPIC REALITY camera package. One that allows the ease of shooting REALITY television but able to switch to an EPIC film style shoot in virtually minutes. "This is the future " stated Philip Adrian Booth , D.P of feature films for Sony, Paramount and Lionsgate. 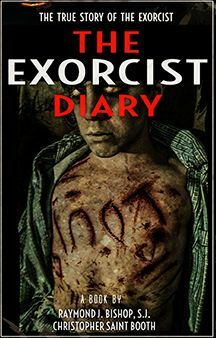 The brothers new release "The Possessed" is available May 1, 2009, Sci Fi air date TBA . 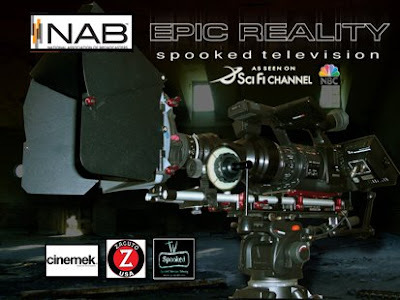 Labels: NAB Breaking News Zacuto Cinemek join forces with Spooked TV and Booth Brothers.